SEVEN current and former HSBC executives charged with money laundering and criminal organisation are being investigated by Spain’s national court. HSBC’s Swiss banking unit has been investigated in several countries after leaked documents suggested it helped wealthy people around the world dodge taxes. 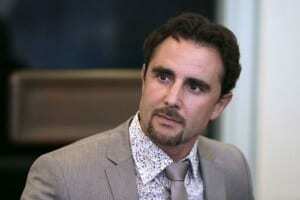 A former IT employee, Herve Falciani, gave the data to French tax authorities in 2008 and France shared it with Spanish authorities and other governments. Judge Jose de la Mata has now ruled to investigate the Swiss banking unit’s chairman, Peter Widmer, as well as Clive Bannister and Christopher Meares, who were CEOs in 2006 and 2007, and four other employees. The judge found evidence that the executives worked with Banco Santander and BNP Paribas to transfer funds at least until 2008 to avoid taxation in Spain.